Yes, you read right. 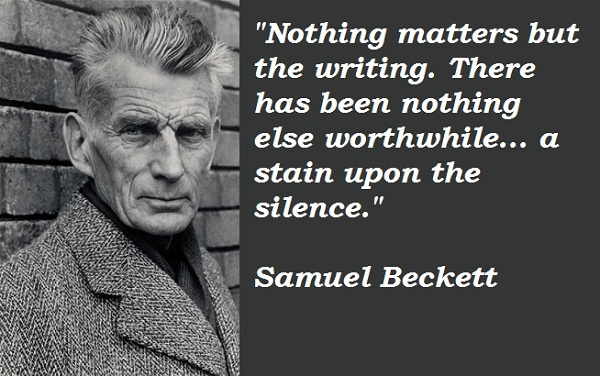 Samuel Beckett, the austere bard of Postmodernism, is a science fiction writer. Don’t believe me? Have a problem with that? Well then, let’s discuss it. Come to CONvergence 2014 and have a chat with me at the On Being Human Guerrilla Literary Salon. Can’t make it to the Con, you can order a handmade hardcover signed copy, buy its cheaper Kindle ebook, or download a copy for free. Click here for details.